Playa Lakes Joint Venture (PLJV) benefits from a staff with a wide range of professional experience, including non-profit management, bird conservation science, Geographic Information Systems, and strategic marketing and communications. The staff has also worked with a diverse set of organizations, from state and federal wildlife agencies and non-profit groups to high-tech companies. Mike Carter brings over 30 years of experience in bird conservation to Playa Lakes Joint Venture (PLJV). He received his master’s degree in zoology in 1984 from Oklahoma State University where he studied wintering Northern Harriers and Red-tailed Hawks on tallgrass prairie in Oklahoma. 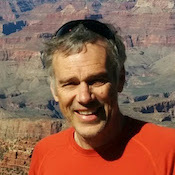 After completing his postgraduate education, he worked as a biologist in the Peace Corps for two years beginning in 1985 and then founded the Rocky Mountain Bird Observatory (now Bird Conservancy of the Rockies) in 1988, where he served as executive director until joining PLJV in May 2001. Mike considers his Peace Corps experience in Liberia, West Africa, as foundational to understanding bird conservation work on this continent. While in Liberia, he conducted bird inventories for a newly formed Liberian national park through a grant from the World Wildlife Fund. He has twice returned to Liberia with teams from the American Museum of Natural History to continue work on documenting birds of that country through grants from the National Geographic Society. During his career, Mike has given more than 140 presentations at ornithological and wildlife conservation technical meetings. He has also contributed to mainstream publications (i.e., Birding and Bird Conservation) and technical journals (i.e., The Auk, Audubon Field Notes, and Bulletin of the British Ornithologists’ Club), as well as proceedings and book chapters. He believes understanding and conserving human cultures is essential to bird conservation work and often speaks about this when explaining why the Joint Venture works with ranchers and farmers to find sustainable solutions for both birds and people. Anne joined the PLJV in 2008 as Conservation Science Director and brings a wealth of experience focused on grassland ecosystems, avian science, and private lands conservation. Anne was a post-doc researcher at Oregon State University’s Eastern Oregon Agricultural Research Center in Union, Oregon. There, she studied the change in territory occupancy of Red-tailed, Ferruginous and Swainson’s Hawks on a northwest bunchgrass prairie known as the Zumwalt. Anne earned a bachelor’s degree in biology from Hope College in Holland, MI and a master’s degree in biological sciences with a conservation biology emphasis from Illinois State University (ISU). While at ISU she studied pesticide contamination in grassland songbirds in Illinois. After completing her master’s degree, Anne attended Miami University in Ohio and received a Ph.D. in botany in 2004. During her Ph.D., she studied the spread of an invasive shrub to new forest fragments. Anne also has extensive experience working with PLJV partner organizations such as the USDA Forest Service, USDA Farm Service Agency and USDA Natural Resources Conservation Service and The Nature Conservancy. Miruh, who joined the PLJV team in 2010, has more than 25 years experience working with stakeholders and clients to develop and implement creative, results-driven communication strategies for a wide variety of healthcare and nonprofit organizations. 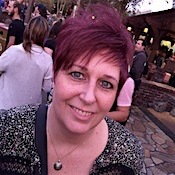 In 1998, she started a marketing communications company specializing in cost-effective internet-based solutions for the healthcare industry and for the next 15 years provided services for many California hospitals, healthcare systems, and physician groups, as well as Blue Cross of California and the Los Angeles County Department of Health. During her career, Miruh received five Golden Advocate Awards from the Healthcare Public Relations and Marketing Association for direct mail and website design. She completed her Bachelor of Science degree in business administration with a marketing concentration from Walla Walla University in 1991. Andrew brings over 20 years’ leadership and management experience in finance, operations, and human resources to PLJV. In addition to a passion for animal welfare, he enjoys building relationships that support the work of nonprofit organizations, and his career has involved the coordination of numerous development projects from direct donor cultivation to strategic and capital planning. Andrew is a board member for life with Best Pets Colorado, a nonprofit dedicated to finding permanent homes for the hardest-to-adopt shelter animals in the Denver Metro area. He is currently finishing his degree in Organizational Communication and Public Relations at the University of Colorado Denver. Andrew joined the PLJV team in December 2014. Christopher joined the PLJV in January 2003 and currently serves as the Conservation Delivery Leader. He started working for the JV as the Shortgrass Prairie Bird Conservation Region coordinator, a role he also served prior to joining the PLJV staff. 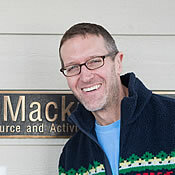 Previous roles have included the New Mexico Partners in Flight coordinator from 1999 to 2002, where he compiled and wrote the first New Mexico Flight Plan and developed partnerships and habitat projects throughout the state including North American Wetlands Conservation Act (NAWCA) proposals. While in New Mexico, he also worked for Hawks Aloft as songbird coordinator, working with a variety of federal and state agencies. 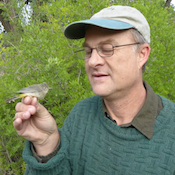 He has conducted USGS Breeding Bird Surveys in New Mexico since 1988. His prior professional experience includes grants management and social service work. He received an undergraduate degree in Psychology from Oberlin College in 1982. Kyle joined the PLJV in 2014 as a GIS programmer/analyst and brings a wealth of experience focused on ecosystem modeling in grasslands and rangelands. 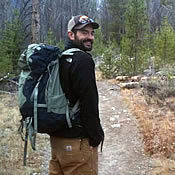 Kyle most recently worked jointly as a research assistant in the Botany Department at the University of Wyoming and as a wildlife technician and GIS specialist for the Idaho Department of Fish and Game. The focus of his research and professional efforts has involved forecasting plant community responses to climate change and relating how associated changes in plant community structure affect wildlife— but particularly birds. While at the University of Wyoming, Kyle cut his teeth on spatial ecology and landscape modeling, earning a master’s degree in botany with a focus on species distribution modeling and population modeling of invasive brome grasses. Kyle earned a bachelor’s degree in biology from Eastern Michigan University, in Ypsilanti MI. Kyle has experience working with a number of PLJV partner organizations, including the USDA Forest Service, Bureau of Land Management, US Geological Survey, and The Nature Conservancy. 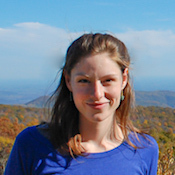 Meghan joined the team as a GIS Analyst in 2017, happy to share her experience in land use planning and partnership-based environmental work with PLJV. 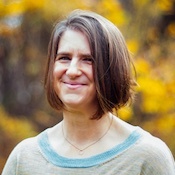 She has held a number of research positions modeling ecological responses to change in human-dominated landscapes, ranging from fish populations in the Great Lakes to grasslands in Brazil. Prior to earning an M.S. degree in Natural Resources from the University of Michigan, Meghan spent seven years developing and managing the nation’s first certification for sustainable communities at the U.S. Green Building Council. She enjoys coaxing disparate professions to work together on thorny conservation problems, particularly by asking interesting geospatial questions. Meghan also holds a Masters of Public Policy from the University of Michigan and a Bachelor of Arts in History and English Literature from the University of Illinois.